We’re really excited to announce that this week HubBox has been named as a Top 100 UK startup in 2018’s prestigious #Startups100 Index. 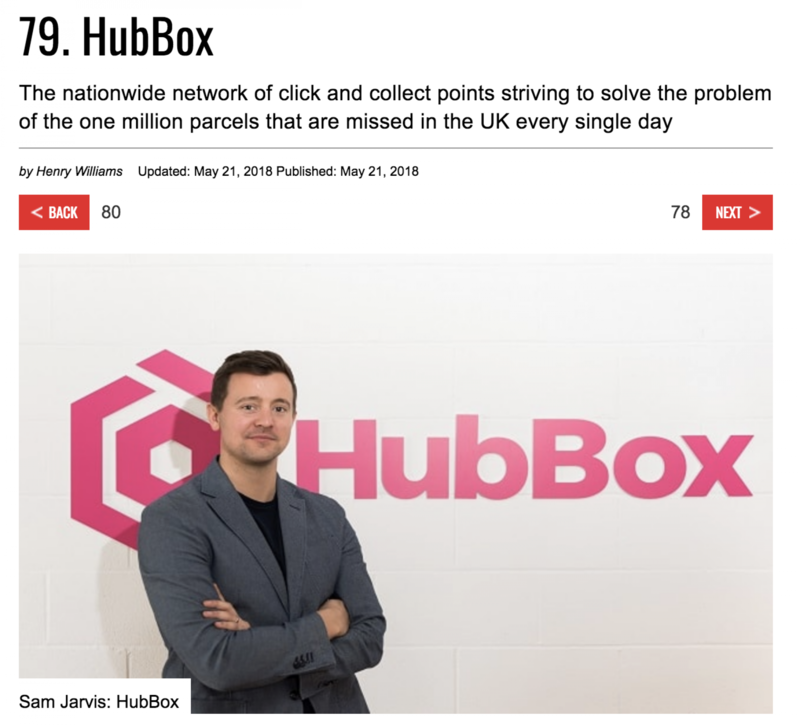 Coming in at a cool position 79, it means that HubBox’s Click & Collect solution has been recognised as one of the top 100 businesses in the UK under three years old by the longest-running index of its kind. The annual list is known for featuring game-changing companies with huge growth potential who often go on to become household names; past winners have included brands such as Deliveroo, Monzo, Simba Sleep and HelloFresh. It’s incredibly rewarding to see our innovation recognised as being one of the ‘best and brightest’ in the country. When we started HubBox in 2015 it was because we knew that there was a better way of fulfilling Click & Collect. The UK has one of the most crowded and competitive courier and logistics markets in the world, so it’s incredibly rewarding to see our innovation recognised as being one of the ‘best and brightest’ in the country. We’re proud that in three short years, our solution now features on the checkout pages of more than 150 retailers, including big brands such as Jack Wills, Warehouse and Boohoo. A huge thank you to our hard-working team, investors and most importantly every single one of our clients who believes in and values our proposition.